Maybe it is a surprise to you that the town of Plau has an intense relation to several of the early constructors of flying devices. 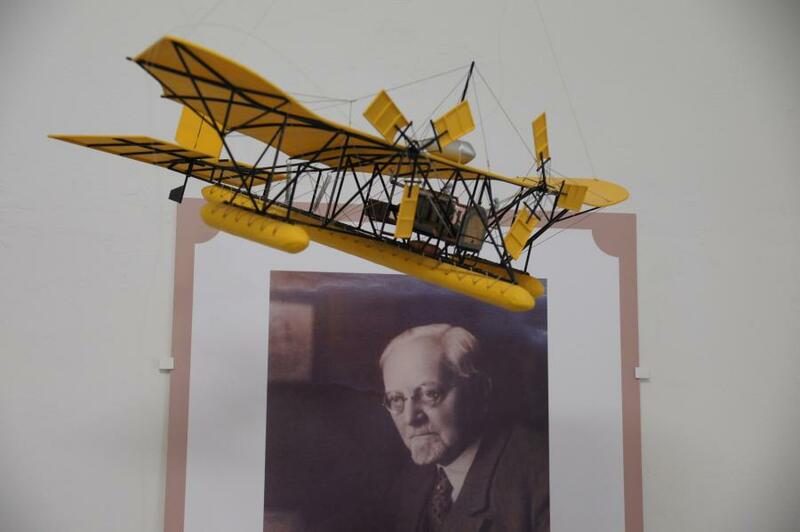 August von Parzeval, who first was an airship designer, experimented in the years 1909 - 1922 with an aeroplane. More precisely he constructed a seaplane to start and land on the Plauer See. In the thirtees of the last century the local Hitler-Jugend cut capers on bizar hang-gliders on a hillside south of the town. And it was around the end of World War II, that somebody quietly in a barn experimented with a phantastic device, that today would be called a single-axle helicopter. The exhibition shows documents and affectionately constructed models - (not only) of local pioneers.